Your attendees will receive the royal treatment with the large Princess Dream Castle bounce house. 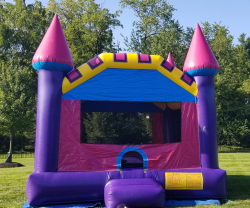 The large Princess Dream Castle features more than 200 square feet of jumping space, perfect for any sized event or party. Kids will enjoy reigning in this colorful castle, which comes with rounded walls and four spires for added dimension. This bouncer has 360-degree mesh windows, so parents and spectators can have a clear view of all the fun. Our inflatables are made safe and secure with fire-resistant vinyl making it safer and more durable. 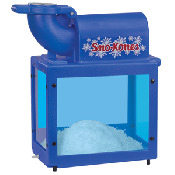 This large bowl cotton candy machine is just like the ones used at the state fair or you local carnival midway. Get everything you need to serve a party favorite at your next event or family gathering. 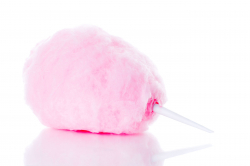 Includes Sugar floss and cones for 50 servings. $15.00 for each additional 50 servings. 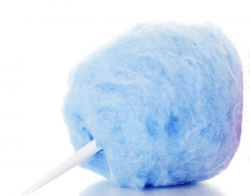 Sugar Floss is available in Blue Raspberry or Pink Vanilla flavors.